Morgan Berry is a voice actor best known for her work in various anime shows, movies, video games, and web series; many appearing on Cartoon Network's Adult Swim and Disney XD. Some of her most notable roles being in "Dragon Ball Super", "My Hero Academia", "One Piece", "Tokyo Ghoul", "Sword Art Online: Gun Gale", "Free! ", "Beyblade Burst Turbo", "KanColle", "Touken Ranbu", "Hyperdimension Neptunia", "Overlord", "Riddle Story of Devil", "ēlDLIVE", and the award winning film "The Boy and the Beast." Morgan is also in many major titles including "Fairy Tail", "Attack on Titan", and "JoJo's Bizarre Adventure". Her most notable video game titles include "Marvel Avengers Academy", "Smite", and the Nintendo game "Freedom Planet 2". In addition, she voices for a variety of web series including Team Four Star's "Final Fantasy VII: Machinabridged", ScrewAttack's "DEATH BATTLE" as the Yellow Power Ranger, and the main protagonist Eris in "Gods' School". 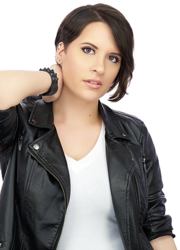 On top of voice acting, Morgan is a professional recording artist and YouTube Personality under the name "The Unknown Songbird" with over 7 Million views in total. As a professional singer, she has performed at many prolific arenas including the Dallas Cowboys Stadium, the Toyota Center, the American Airlines Center, and Bass Hall.